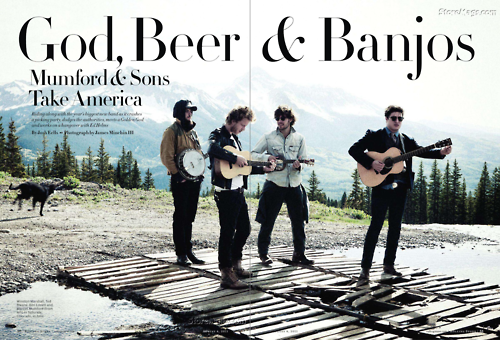 Folk band Mumford & Sons have helped create a new craft beer with the oldest independent brewery in Sussex, England. The Lewes Stopover Brew, a 4 percent beer, is described as a ‘ soft golden ale’ and is made with Fuggle and Golding hops. The band stopped by local craft brewer Harveys of Lewes ahead of the Lewes music festival they’re headlining later this month to help develop the beer which, will be sold exclusively at the two-day event. Mumford & Sons are hardly the first music band to make a foray into the beer business. The Hansons, best known as the teeny bopper boy band from the 1990s, released their first brew, Mmmhops, this past May. Perhaps one of the best-known craft breweries to use musicians as their muse, meanwhile, is Delaware-based Dogfish Head, which has paid homage to artists like Miles Davis, Robert Johnson and Pearl Jam in suds.